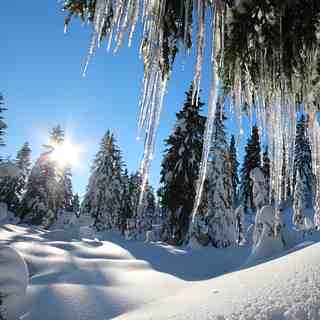 Is it snowing in Mount Seymour ?¡Gracias! 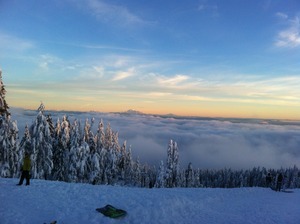 Mt Seymour is pure Canadian West Coast. Located just 30 minutes from downtown Vancouver, Mt Seymour is situated on the east side of Vancouver’s North Shore in Mt Seymour Provincial Park. Take in the breathtaking views of Vancouver, the Georgia Straight, Mt Baker, Washington State, and Vancouver Island. The ski area’s proximity to the Pacific Ocean, an eastern aspect, and the highest base elevation in the region combine to provide the slopes with a generous average annual snowfall of over 1,000cm. The ski area’s 81 hectares of terrain, which includes 40 hectares lit for night skiing, features gentle slopes where beginners will progress rapidly and excel. Advanced skiers and snowboarders will discover challenges and hidden secrets within the area’s naturally contoured slopes, gullies, tree runs, and terrain parks. The Ski and Snowboard School has a celebrated history introducing new skiers and snowboarders to the slopes and has developed several popular single-day and multi-day programs. Programs are available for all ages and skill levels and include Bear Cubs, Mountain Riders , City Lights, and the popular Discover Lessons. Freestyle progression continues at Mt Seymour with the development of four terrain parks. The Northlands Terrain Park contains advanced jump and jib features. Th e Young Guns Terrain Park offers a variety of features designed to introduce beginner and intermediate riders to the terrain park experience. The Pit Terrain Park has evolved as one of the most progressive, creative and fun terrain parks in the region over the past couple of seasons. This skate style jib section, which sees pros and beginners alike, has over a dozen features regularly rotated and mixed up to provide a constantly changing place to ride and film. The Mushroom Park, our beginner park, is located off the Goldie Rope Tow and is the ideal place for beginners and intermediates to learn the basic tricks or to master new ones. Filled with mellow jumps and jibs in a relaxed and comfortable area, the Mushroom Park allows riders to progress to the next level in a safe environment. 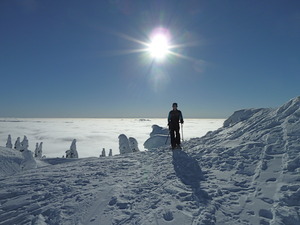 Mt Seymour also maintains extensive terrain and dedicated trails for snowshoeing with several guided programs available such as the popular Chocolate Fondue Tour, SnowFit and Baby & Me. Our hard work has paid off in 2012 with Snowshoe Magazine awarding Mt Seymour the title of “No.1 snowshoe friendly ski resort in North America.” Come and see why. Snowtubing has quickly become an activity of choice for many guests. The Enquist SnowTube Park features four lanes of snowtubing fun, a 100m vertical drop, and a custom-built snowtube tow that eliminates the hike back to the top. 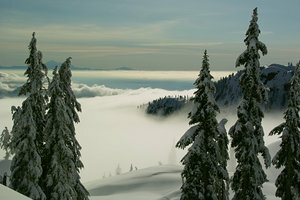 For groups looking to have a unique winter experience, Mt Seymour is the most affordable winter destination. Our multi-faceted group programs are designed to fit your group needs. Mt Seymour’s meeting facilities are designed to accommodate a variety of functions from meetings, receptions, and dinners. The Enquist Lodge also offers facilities for groups looking to comb ine a unique winter experience with their event. 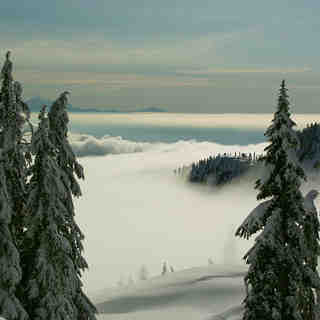 Mt Seymour is a one-stop winter activity centre. We are a family-run organization guided by a passion for the outdoors and for providing great value and exceptional service. With a long-standing tradition of providing each and every guest with a memorable mountain experience, whether you’re seasoned pro or have never played in snow before, Mt Seymour welcomes you. 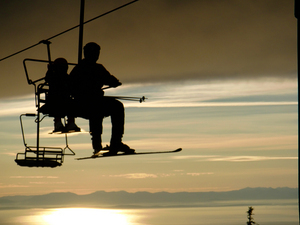 Best bang for buck skiing or snowboarding in Vancouver. Seymour is all natural snow. Seymour gets the most powder out of the small mountains. They recently upgraded their main chair lift to a quad fast chair. Making line-ups better. Seymour has the best terrain parks to learn on out of the small mountains off Vancouver. Main disadvantage is that the resort is a provincial park that is run by a family during the winter. This creates a situation where the family does limited investment in the growth of the winter capabilities.. And the province washes it's hands from any significant investment in infrastructure and recreation for it's citizens. Leaving the mountain in a management limbo... It could be so much better.